This study has been validated through primaries conducted with various industry experts, globally. This report covers the global carbon fiber prepreg market and forecasts the market size until 2024. 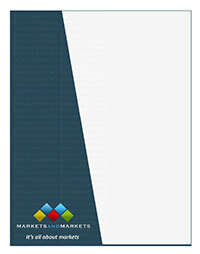 The report includes the market segmentation by resin type (epoxy, phenolic, thermoplastic, bismaleimide (BMI), polyimide, and others), by application (aerospace & defense, automotive, sports & recreation, wind energy, and others), by manufacturing process (hot melt and solvent dip) and region (Europe, North America, APAC, Latin America, and MEA). Porter’s Five Forces analysis along with the drivers, restraints, opportunities, and challenges are discussed in the report. It also provides company profiles and competitive strategies adopted by the major players in the global carbon fiber prepreg market. This report segments the global carbon fiber prepreg market comprehensively and provides the closest approximations of the revenues for the overall market and the subsegments across different verticals and regions. This report will help stakeholders to understand competitors better and gain more insights to better their positions in their businesses. The competitive landscape section includes the competitor ecosystem, new product launches, agreements, contracts, joint ventures, partnerships, expansions, and mergers & acquisitions.